Please complete and submit the following form and we will contact you soon. To help us return your quote in a timely manner, please also click here to download our Census Form, complete and return by email or fax. Partnering with the strongest carriers in the nation, we specialize in designing benefits for groups of 2 to 100 employees, based on you and your employee’s needs, financial goals, benefit utilization analysis and more. Specializing in Kentucky based trade association programs in the commercial construction and retail industries, offering small employers benefit packages at low rates typically only available to larger employers. We’ll help you take advantage of trends such as wellness plans, voluntary benefit programs, and defined contribution plans, all which have been proven to save employers and employees money on premiums and healthcare costs. Complimentary or low cost services designed to help employers keep up with the timely administrative and compliance requirements of running an employee benefit plan. Get help with COBRA, HIPAA and other compliance. 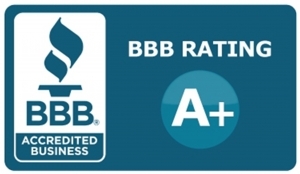 Snowden & Associates, Inc. is a locally owned agency which has been serving the Kentucky area for over 35 years. We understand that when selling an intangible product, we must differentiate with exceptional service, professionalism and attention to detail. We have built a strong book of business using the “old school” principles of being accessible, knowledgeable, responsive and ethical. Continually evaluating the changing healthcare landscape. As professionals, we must be able to properly evaluate your insurance needs and assist you in keeping current with changes in the insurance industry. We constantly monitor changes in employee benefit laws, products and trends so that we can provide the absolute best and proper guidance. Catering to the Small Group Market. Our primary focus is the small group market. We understand that small businesses do not typically have a dedicated HR department, and they need someone to rely on for compliance, consulting and day to day administrative issues. We provide the small employer with the same level of attention as we would any large employer. Build your membership with value added benefits. Snowden and Associates are the sales and service agency for unique trade association programs in the construction and retail industries. These programs offer small employers with access to benefits and rates that are typically only available to large employers. When properly designed, bona fide trade association programs retain the ability to base rates on medical risk (not community rating), thus offering the ability to obtain discounts for groups with average to better than average claims experience. Staying compliant with the Affordable Care Act (the ACA). The Affordable Care Act (ACA) is a major change in the laws that govern healthcare. According to the US Census Bureau, the ACA affects mostly businesses as nearly 80% of insured people receive their benefits through their employer. The original healthcare bill was nearly 2,700 pages long when it was first implemented in 2010, and since then there have been dozens, if not hundreds, of significant changes made to it. Snowden and Associates can help you avoid costly penalties and stay compliant with the constantly changing laws of healthcare. When employers self-fund their own group health plan, they will benefit from a significant savings in the overall cost of their benefit programs. For example, savings may be in premiums, increased cash flow and certain tax advantages. Additionally, employers have more control over the benefits that the plan offers. Typically, self-funding was not available to small employers in the past. However, today self-insured group health plans are considered to be good options for both small and large employers. The experienced benefit consultants at Snowden & Associates specialize in helping employers set up and maintain self-funded health plans. Accordingly, we would be happy to give you a no cost analysis to determine if a self-funded health plan option is right for your company. A self-funded group health plan requires the employer to become the insurer. Most often, employers will partner with a PPO to provide services for the plan. Then, a third party administrator (a TPA) is engaged to handle claims and processing. Self-insured employers run the risk of large catastrophic claims. As a result, they will purchase stop-loss insurance to protect them in such an event. Even with the additional expense of stop-loss insurance, employers can enjoy saving thousands in premiums and other advantages. Shared Funding Plans allow small employers to take advantages of all the cost saving and benefit design features of a self-insured plan. Typically, these plans have been designed for larger groups. However, in today’s market, any small or large group could benefit greatly by the cost saving opportunities of a shared funding plan. An employer will select any of the fully insured plans that the carrier offers. Then rates will be determined by the group’s claim history. Next, stop-loss insurance is added to protect against catastrophic claims. Additionally, just like an insured plan, the carrier will handle the administration of the plan. This includes processing claims, in addition to offering members online access to their benefits. The premiums for shared funding plans are generally much lower than fully insured plans. That is because the employer shares some of the risk. Additionally, an employer may save even more by implementing wellness programs into the benefit programs. Our thorough plan analysis will help you determine if shared-funding is right for your company. Different than the “one size fits all” model, the idea of a defined contribution health plan allows employees to choose a health insurance plan of their choice with funds (a fixed dollar amount – a “defined contribution”) given to them (set aside) by the employer. The benefits of selecting a defined contribution plan are many for both the employer and employee. An employee is more involved in their healthcare choices and can choose a plan that is tailored around his/her needs, which reduces risk on employers. Also, both employer and employee save a significant amount of money on premiums and taxes, while retaining health benefits that are just as good, if not better than a traditional group plan. Defined contribution plans are easy to set up and maintain. The employer will need to join a private exchange (an on-line insurance marketplace where various carriers participate and compete for business) and select the specific plans they want to make available to their employees. Then, the employer will need to allocate a monthly amount (premium) for each employee who will participate. Employees will be given access to the private exchange to select his/plan of his choice and will be able to manage their benefits 24/7 through the on-line account provided by carrier/plan selected. Key Person (Key Man) Life Insurance is designed to protect your business should one of the main partners pass away unexpectedly. This policy will name your business as the beneficiary and premiums are billed under the business name. Benefits and premiums are tied the value you have established through financial records. Benefit payments are made to the business to help minimize financial loss should your business lose the insured (key personnel) due to death. A Business Overhead Disability policy prevents businesses from going under from regular overhead expenses while the business owner is unable to work and run the business due to disability. These types of policies will typically pay for things like employee salaries, rent and utilities, among other expenses. Buy-Sell Agreements are intended to protect a business after the death of a key employee. Buy-Sell Agreements (also known as Continuation Agreements) are tied to and funded by life insurance policies. The agreement sets out the details of the transfer of business interest by the keyman (or his/her estate) upon a certain triggering event–usually death, disability and retirement. The surviving or continuing business owner or partner can rest assured knowing that they will be able to purchase the keyman’s share without interference from other survivors of the keyman and his/her estate. Additional individual products to wrap around the group plan for those with high incomes. Typical group long-term disability insurance and supplement life insurance benefit packages usually only cover a fraction of an executive’s high income. Providing a customized supplemental life insurance and/or carve out disability to key employees is an important part of the Executive Benefit Package. Plans may be structured to avoid taxation of benefits at the time of claim. To purchase an Advantage Plan or a Part D Plan outside of the open enrollment period, you will need a qualifying event to be eligible. If you are purchasing regular health insurance on or off the Exchange (Marketplace), you must do so during the annual open enrollment period. Failure to do so may result in your having no coverage for the following year and having to wait until the next year’s open enrollment to sign up for coverage. However, you may enroll in a health insurance plan outside of the annual open enrollment dates if you have a qualifying event. Please fill out the following form and we will contact you soon. Unlike a traditional major medical plan that reimburses you or pays directly to a provider for approved hospital stays and medical care, a Hospital Indemnity Plan pays a lump-sum payment directly to the insured. The cash payment helps with out-of-pocket expenses and covers you when you are off work due to a hospital stay. The coverage is usually a set amount per day, per week, per month, or per visit depending on the benefit level selected. A critical illness can prove disastrous to the financial future of both you and your family. Fortunately, surviving cancer, heart disease, stroke or other chronic illness is becoming increasingly common with medical advancement. Critical Illness and Critical Care Plans can help reduce the personal financial impact of these illnesses. The cost of fighting or recovering from these illnesses and keeping up with everyday bills can quickly add up. This supplemental policy will provide a lump-sum cash payment when all policy terms and conditions are met. See plan summary for more information. If you have a health insurance plan and/or disability insurance, this policy will provide benefits in addition to your other coverage. -Lump-sum cash benefit paid directly to you. -You decide how best to spend your payment. -Benefit level choices to fit your needs and budget. -Simple plan options for your needs and budget. Accidents can happen anytime. As a supplemental health insurance, Accident Insurance is very affordable and provides benefits in addition to your regular health insurance and/or disability insurance, in the case of a accidental injury. Thus, Accident Insurance can go a long way to protect you from financial hardship due to a great deal of medical, recovery and out-of-pocket expenses that follow accidental injuries. *Benefits are only payable when all policy terms and conditions are met – see plan summary for more information. -Institutional Care: Nursing home, assisted living services residential care facility, hospice care, adult foster home, respite care and more. -Home Care: Home health care, adult day care, personal care, homemaker services, hospice care, respite care and more. Snowden & Associates offers a variety of individual and family major medical health insurance plans from some of the best carriers in the nation. Below are some of the most common insurance plans available to individuals on the open market that we may recommend, depending on needs. Temporary or Short Term Medical Plans are health plans designed for times of transition and help to bridge gaps in coverage for individuals and families. In the past, short term plans have been available for up to three months, but new federal guidelines allow for plans up to one year, and are renewable for up to three years. The great thing about short term plans are they are generally less expensive than traditional health insurance, however, they do not provide full coverage and they typically do not cover pre-existing conditions. Based on your needs, you can select the length of time and from a range of available deductible amounts. Additionally, short-term health insurance plans do not contain the essential benefits as required by the Affordable Care Act. Also known as Part C of Medicare, Medicare Advantage is a more cost effective Medicare health insurance plan that acts like an HMO or PPO and combines Original Medicare Part A and B together. It is provided through a private carrier and typically provides better coverage than just A and B alone. This policy may have co-pays and deductibles. Prescription Drug Coverage. The part of your Medicare benefit that pays for some, but not all, of the costs for your prescription drugs and only at participating area pharmacies. If you are on Medicare, then you are eligible for Part D regardless of your income, resources, health, or current prescription expenses. PDPs (Medicare Part D Prescription). These are stand alone plans that can be added to your original Part A and Part B Medicare benefits, or used in conjunction with Medicare Supplement plans. They are governed by Medicare, however offered through private insurance carriers. MAPDs (Medicare Advantage Prescription Drug Plans). These also are stand alone plans offered through private carriers that can be added to Medicare Advantage health plans (cover Part A and B benefits) , or they can be purchased separately, however, to enroll in this type of plan, you need to be enrolled in both Medicare Part A and Part B. NOTICE: Once you are eligible for Medicare, do not wait to enroll in a Medicare Part D Plan or you could end up paying a penalty every month. To help us return your quote in a timely manner, please click here to download our Census Form, complete and return by email or fax. An HMO group health plan requires group members to obtain their health care services from doctors and hospitals affiliated with the HMO. Thus, members are required to designate a primary care physician within the HMO. Then, the primary care physician treats and directs health care decisions. In addition, the primary care physician coordinates referrals to specialties within the HMO network. Accordingly, HMOs offer access to a comprehensive package of covered health care services in return for a prepaid monthly amount (or “premium”). However, most HMOs charge a small co-payment depending upon the type of service provided. If you belong to a PPO group health plan, you will save the most money on healthcare if you use providers within the PPO network. Thus, if providers outside of the network are used, it is possible that those services may be covered only partially or not at all. Also, deductibles must be met on this plan before some services will be covered. PPOs require a co-pay for physician visits and some other healthcare services. However, the great thing about a PPO is it’s rich network of quality doctors and healthcare facilities, and the ability to utilize healthcare services outside of your deductible. For example, doctors visits. An HSA combines a high deductible, lower premium group health insurance plan (PPO) with a savings account. Accordingly, both employer and employee can contribute, tax-free, to the savings account. Then, the account is used to help fund the deductible and other qualified medical expenses. Once the deductible is met, the insurance starts paying. An HRA combines high deductible, low premium health insurance plan with a tax favored savings account. Consequently, this plan requires that the employer contribute to the savings account. Then, the account can be used to fund co-pays and other qualified expenses submitted by the employee, prior to the deductible being met. Through our thorough analysis and plan design process, we can help you determine which traditional health plan is right for your company. Employees always appreciate dental & vision coverage as part of their Employee Benefits Package. We offer individual, group or voluntary Dental & Vision through many of our major insurance carriers. Studies have shown that regular dental exams help employees to stay healthier and more productive in the work place. Additionally, you can detect serious underlying conditions such as heart disease and diabetes, through regular dental exams. In fact, the National Association of Dental Plans and the Centers for Disease Control have performed studies that show that employees with dental insurance have better attitudes and are less likely to suffer from depression, a common condition in today’s fast-paced world. Dental insurance offers a variety of diagnostic, preventative care and corrective services. This includes cleanings, exams, x-rays, fillings, root canals, orthodontia for children, and emergency care while traveling. Similar to dental policies, vision plans are inexpensive and save employees money on routine eye care. Examples of care include exams, eyeglass frames and lenses, contacts, and even discounts on procedures like LASIK. Additionally, monitoring your eye health with regular exams helps to prevent serious eye diseases like glaucoma and cataracts. In addition, regular eye exams help to detect early stages of diabetes, high blood pressure, and high cholesterol. A Premium-Only Plan allows employees to purchase their own individual insurance with pre-tax dollars. In other words, employees can potentially save thousands annually in taxes and premiums combined. Employees elect a set amount of pre-tax dollars to be deducted from each payroll. Then, the employee purchases an individual health insurance policy from a carrier of their choice. Accordingly, the employee is responsible responsible for paying the monthly premiums directly to the carrier. Then, the employee is then reimbursed by the employer for the monthly premium with the pre-taxed dollars. After a thorough plan analysis, we can help you determine if a POP program would benefit you and your employees. A Flexible Spending Account is a cafeteria plan under Section 125 of the tax code. In other words, it is a tax favored savings account and is funded solely by the employee through regular pre-tax payroll deductions. Accordingly, the funds (account) can be withdrawn tax-free to pay for eligible medical, dental, vision, prescription and dependent daycare expenses. Additionally, employees elect how much they want withdrawn from each pay period, which can be changed annually or upon a qualifying event such as marriage or divorce. For example, the average working employee in America spends more than $1,000 annually on these types of benefits. By participating in a FSA, an employee’s taxable income is reduced, which increases the percentage of pay they take home. Employees are more productive when they feel secure that their loved ones will be taken care of, in the event of illness or an untimely death. Thus, you should consider life insurance a key part of the benefit package for your employees. And, also a valuable tool in attracting top talent. Whether employer paid or voluntary, a good life insurance policy provides for an employee’s final expenses, taxes, and mortgage. Additionally, it may even pay for their children’s education. This type of life insurance builds cash value which is sometimes used as collateral for loans, if needed. However, most employers only offer basic term life insurance (see below), but also offer permanent life insurance on a voluntary basis. Even so, employees appreciate the opportunity to widen their safety net. This type of life insurance does not build cash value. However, it will pay a set amount to the named beneficiary upon the death of insured within the stated term. Additionally, some policies may also make payments upon terminal or critical illness. National surveys have shown that Short Term Disability and Long Term Disability remain of high importance for most employees. Thus, savvy employers attract and retain top talent by offering both STD and LTD insurance as part of the employer paid benefit package or as a voluntary (worksite) benefit. Here’s how Disability plans work. During the time an employee is unable to work due to a qualifying disability (illness or injury), LTD generally allows for income payments to the employee to begin after about a 90-day waiting period. However, it could be much longer depending on the policy. The policy will pay the employee far longer than STD–for a few years, up to age 65, or even for life. Group Long-Term Care plans are becoming an increasingly common voluntary benefit offered by employers today. The prospect of long-term care is one of the most important issues your employees may have to face. The cost of long-term care is expensive and generally not covered by other employee benefits, disability or even Medicare. If someone requires long-term care, it is not just an emotional strain but a financial one as well, impacting retirement savings and overall financial position. Savvy employers know that access to additional resources can increase employee productivity when confronted with managing long-term care situations. Long-Term Care plans demonstrate to your current and prospective employees that your company cares about them–increasing the ability to attract and retain the very best talent. Here’s how LTC Plans work. Most LTC plans are designed to provide benefits for care through nursing homes, assisted living centers, home health care and adult day care. Employers can provide a base benefit while giving the employees the opportunity to “buy up” and obtain the level of coverage that they need for their families. We help employers who provide medical benefits to their retirees tackle the challenges of ever increasing premiums and health care costs. We offer a guaranteed issue “true group” approach where eligible employees and their spouses will receive all the benefits of Medicare and more with a quality Group Medicare Supplement through one of our top carriers. Medicare Supplement Insurance policies complement your retiree’s original Medicare Parts A and B. They cover some, if not all, of the expenses that Part A and B do not cover, like co-pays, deductibles and other charges. Dental, vision and hearing wellness benefits may be included.